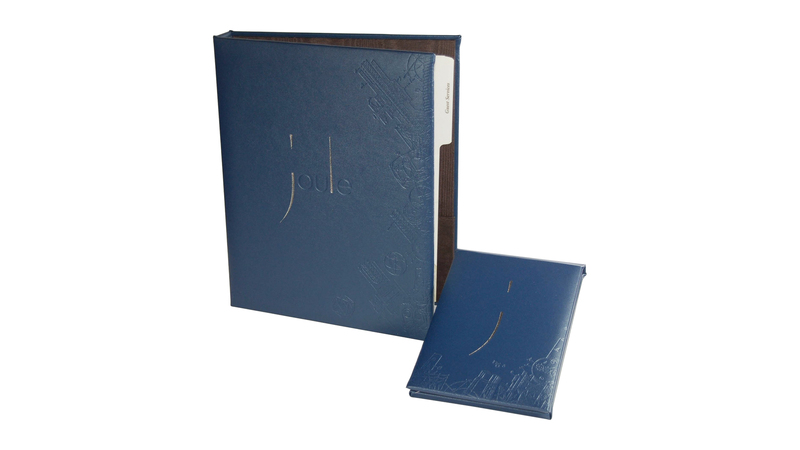 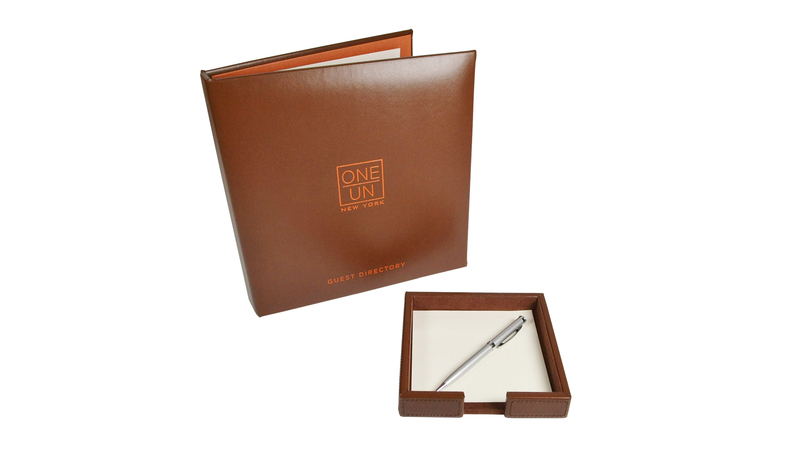 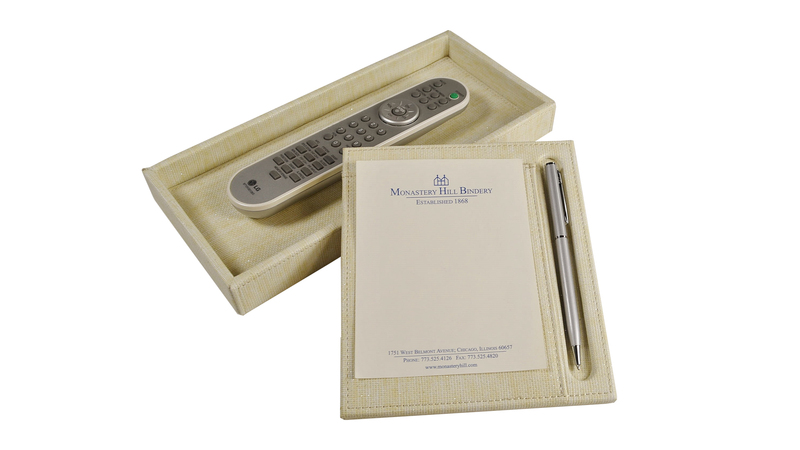 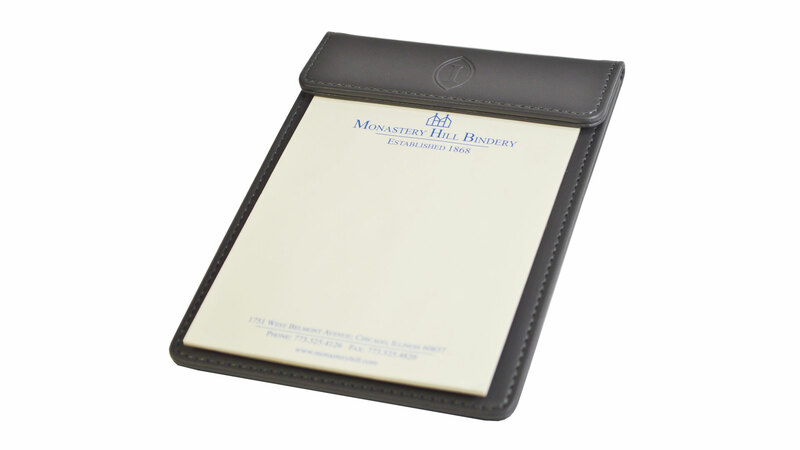 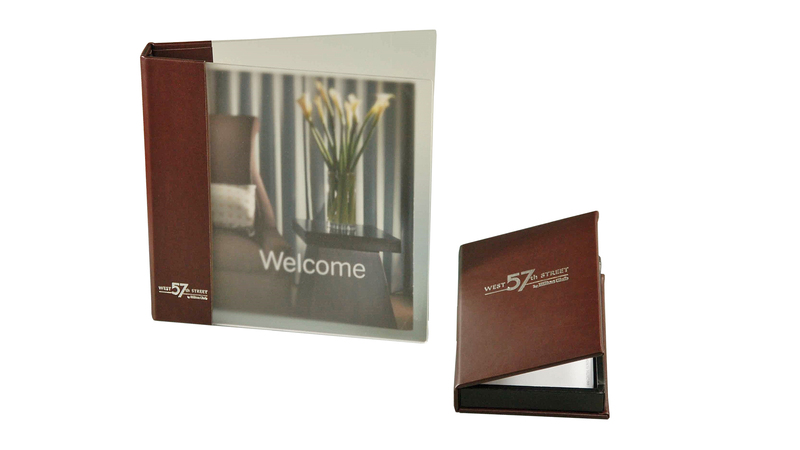 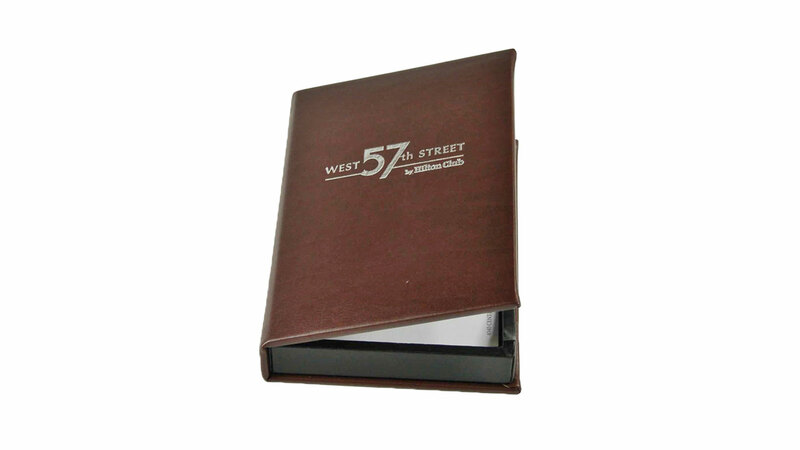 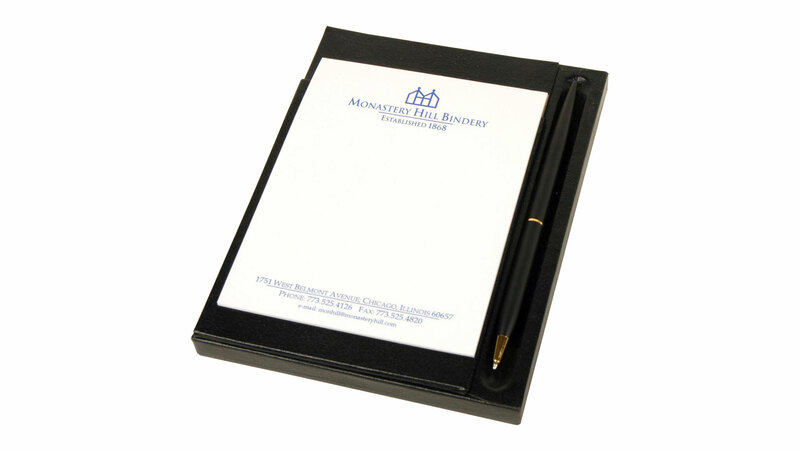 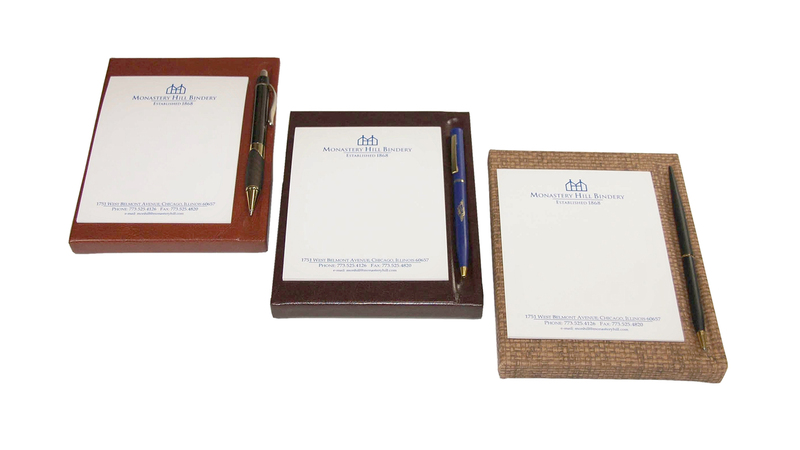 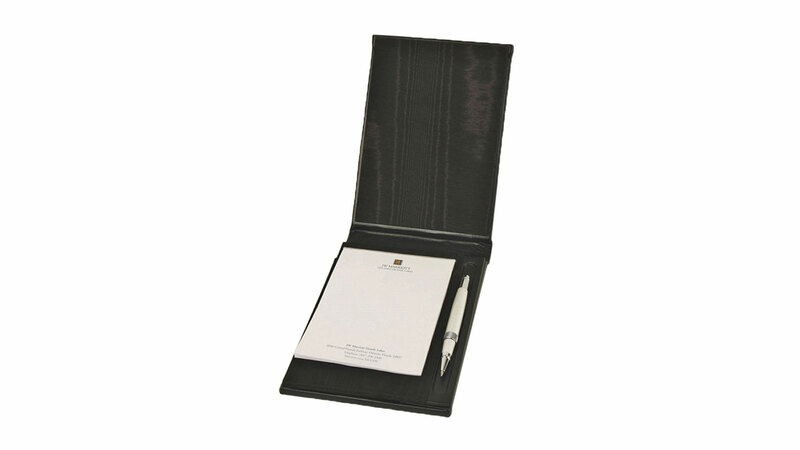 Our stylish Note Pad Holders are designed to accommodate any standard hotel note pad. 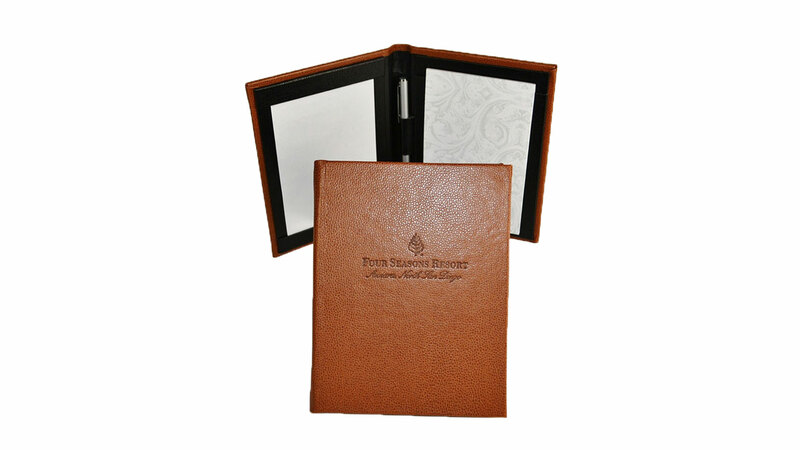 Each design is unique and highly functional. 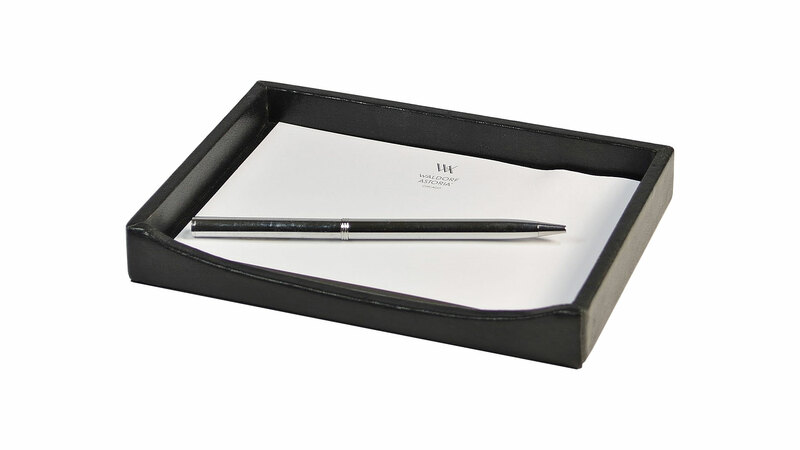 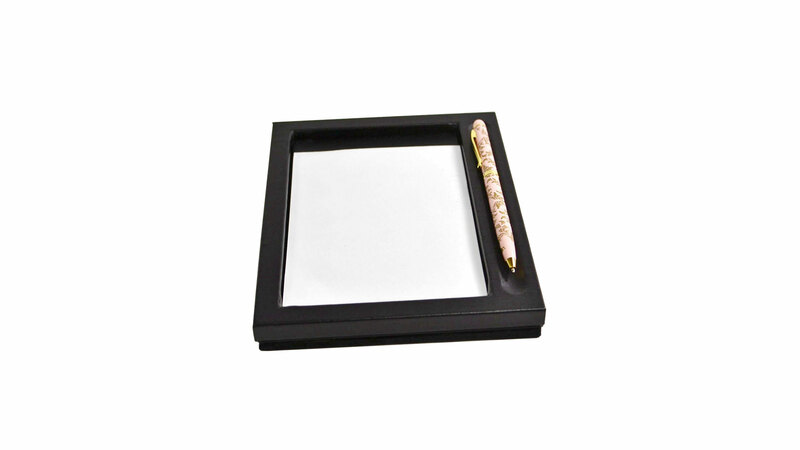 Most styles offer a pen cradle or loop to hold your hotel pen and are available with a weighted base.